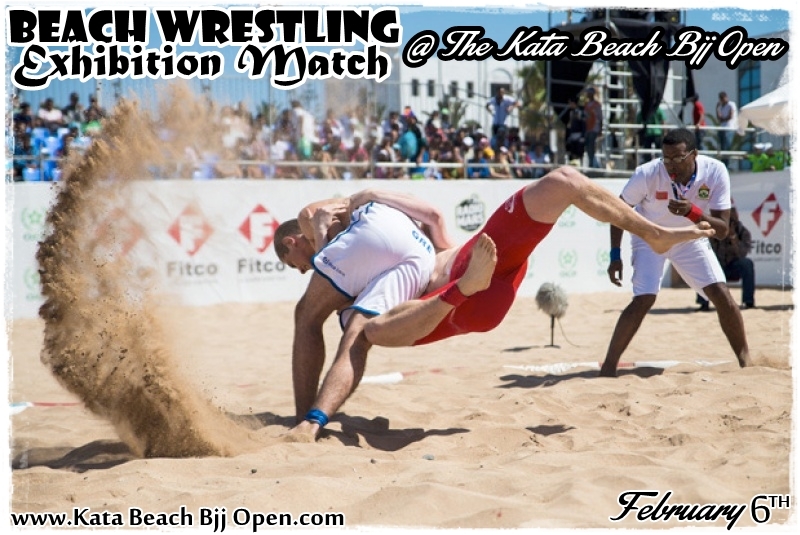 February 6th the Kata Beach Bjj Open will host a Beach Wrestling Exhibition match. 2 wrestlers will show there skills under official FILA beach wrestling rules. The exhibition match is a pre-cursor to future beach wrestling events to be held in Phuket.